What Should I Do With My Wallflutters? 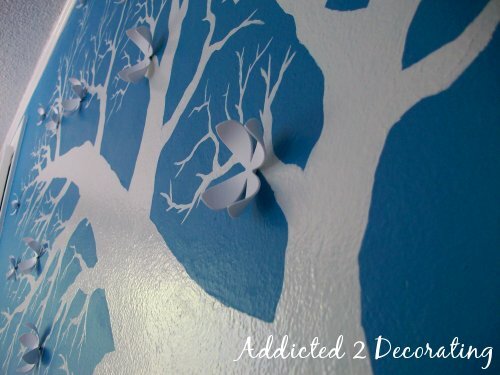 I admit, I have a weakness for cute little three-dimensional things that are intended for the wall. 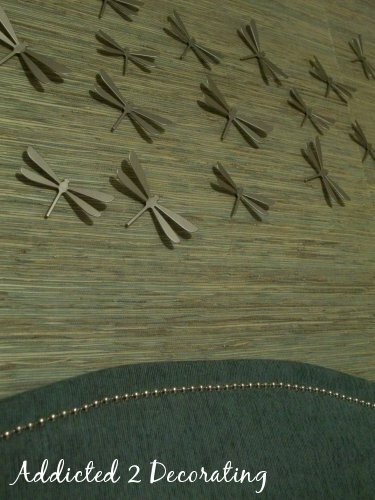 Remember these Umbra Wallflowers that I suggested for Bailey’s room? Well, the other day when I was in Bed, Bath & Beyond, I saw that they carry a limited selection of these Wallflowers (in two colors, I think), and then they had these cute little Wallflutters! 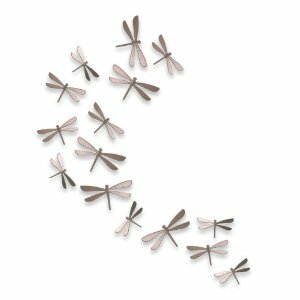 I’ve never been really big on dragonflies, but these are just too darn cute, and I love the brushed nickel finish (although they’re really plastic). And plus, the name is just so perfect. Wallflutters. I love it! So I brought them home, hoping to use them on the wall above my bed. The cost was $19.99 for a set of 20 (five each of four different sizes), but I had a nifty little coupon, so I only paid $15.99. Here’s my predicament: I don’t know how to arrange them. I love the freeform look, shown in the picture above. That’s what I had intended to do, but honestly, freeform is just so hard for me to do. I always love it when other people do it. 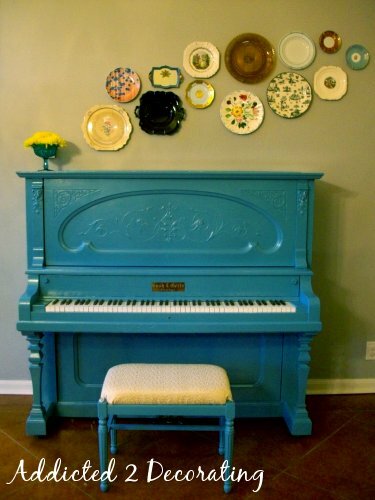 For example, Cassandra’s plate wall is simply wonderful!! But why is it that I can never embrace the freeform for my own home?! I’m all about symmetry and structure. I try to break free, but it grabs hold of me and pulls me back. Now here’s an IDEA of what a more structured arrangement would look like. 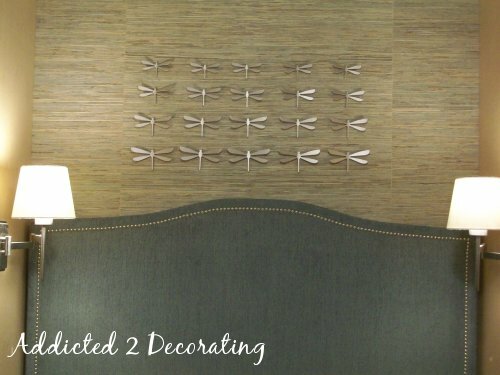 If I went for the structured, I would NOT place them directly on the wall. I would probably opt for a framed arrangement…perhaps an arrangement of three frames, and each frame would have two or three Wallflutters in it. So tell me your thoughts. Am I being ridiculous? I know these were intended for a more freeform look. Why is it so hard for me?! Why do I need everything so structured and symmetrical?! Aarrgghhhh!!!! I just need someone to tell me what to do. Next Post On Today's Agenda:: Refinish This Chest Of Drawers!! There was something on that TV show Gossip Girl a while back, where Blair decorated Serena's bedroom, and had a "free-form" wall application above her bed. It looked fabulous! I think the reason it's not working in your space is because your space is already too confined. 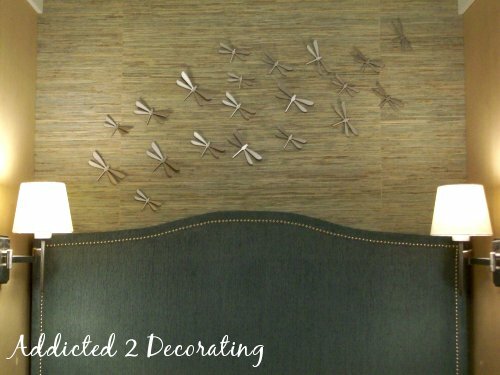 The dragonflies can't really be zooming across/above your headboard because there's nowhere for them to (visually) enter or exit the space. So how about making them zoom UP? They could be coming from behind/below your headboard, and flying up toward the ceiling? In a free-form way. Or you could just move them to a different wall, where they have room to be more loose. Good luck! 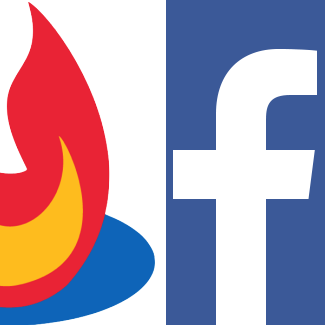 Love your web site. If you're looking for luxurious bedding to match your beautiful bedroom, I would suggest looking into a feather bed! There's nothing like sinking into a luxurious pad of down filling at the end of the day! You spammers are shameless, and you REALLY irritate me!!! I am the same way…I want to embrace free form, but my type A personality gets the best of me each time. I would suggest a sort of combination of the two. Make the middle row sit higher up on the wall, while each row next to it stair steps down a bit, to sort of mirror the shape of your headboard. Does that make sense? I like them fluttering in a more natural pattern. It just doesn't look right to me all lined up perfectly because that's not how they look in the real world. I like the free form look also. It appeared in the store sample that there were small and large ones. Maybe if you had some smaller ones to replace a few on your free form example it might look good. I personally prefer a random pattern as opposed to structured formation. Sadly the structured formation looks a little aggressive as it almost references fighter jets! I think the reason you are struggling to get a more natural free form is mainly down to the numbers. 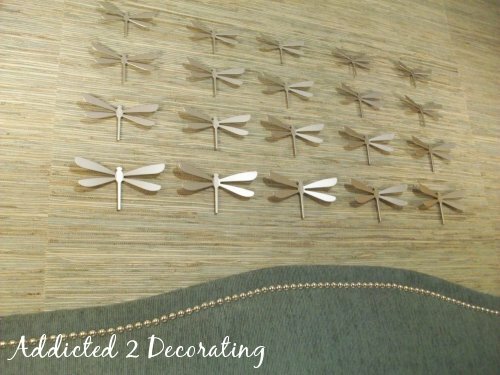 In this case 'less is more' I know it's tempting to display all of the dragonfly's you've purchased but the area simply isn’t big enough, try with less and see how you get, maybe place a few elsewhere in the room although not too sure about that without seeing the rest of the room. Good luck and I do like them and their name! Go with the Free Form, Kristi. Free form or randomly is more the natural look. Although a great adherent to classic symmetry, I feel that in this instance the insects should be allowed to fly free. Hi Kristi, Love these little guys! A little whimsy is fun and even though I'm partial to the fighter jet look :)(heheh), maybe if you used fewer flutters with lots of space in between them and free formed them in a structural sort of way–like a mirror image, or. . .OK, this is sounding so incoherent that it's not even worth 2 cents–I will give up and just wait and see what your solution will be–I know it will be cool! I like free form better. I vote for free form. Dragon flies don't fly in order they fly free form. Put them up on the wall and just live with it for a while. You'll get used to it. Freeform. Maybe fewer in number.When planting spring bulbs, they suggest that you just toss them onto the ground. You would definitely have to adapt this for a wall.Something to kinda mark the spots. Definitely look better free form. Lisa L.
i also love the umbra wall flowers but i made them into a chandelier in my stairwell, used lights, fishing wire, i love them! !